Golfers are by nature a boastful bunch. Although the game prides itself on adhering to proper golf decorum, self-governance of the rules, and absolute silence while someone is hitting, most of us can’t (or won’t) shut up. Every golfer loves to talk about the time they teed it up at [Insert fancy private course here], or the time Tiger smiled and pointed at them while he walked to the first tee. And of course the downhill, double-breaking, 50-footer for birdie they made on the 18th to win all the Nassaus. However, nothing will make a golfer puff out their chest more than hitting 300-yard bombs off the tee. And guess what…you can be that guy. USGolfTV.com is proud to offer the Tour Distance plan, a teaching aid to help you maximize your distance off the tee. With all the advancements in club and ball technology over the years, there’s no reason you shouldn’t be hitting the ball much further as a result. In the Tour Distance Plan PGA Teaching Pro Todd Kolb looks at four  key areas which will help you add significant yardage off the tee. Not five yards, try 30 to 40 yards. Your setup, your angle of attack, pressure movement and finally turning science into distance. It’s all laid out for you in easy-to-follow and understand instruction. This isn’t a lengthy, drawn out, and cumbersome 12-step program. The Tour Distance Plan can have you hitting longer drives today while you’re on the range. Did you know just changing your setup can add distance to you drives before you even hit the ball? It can and it does. How a simple move with your hands can have you striking the ball much more effectively and consistently? 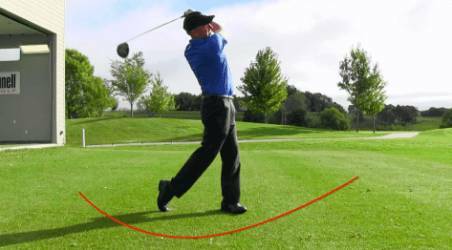 There is a lot of information about the golf swing out there. Frankly, a lot of it is outdated and actually hurting your game. 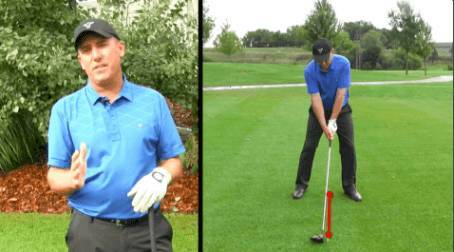 Let Todd help cut through all the static and simplify your swing. The 300-yard drive you hit one time on that windy day doesn’t have to be a fluke. You can drive like the pros. Masters champ Sergio Garcia wouldn’t measure 6-feet tall in spikes, but he can lash it 300-yards anytime he wants. 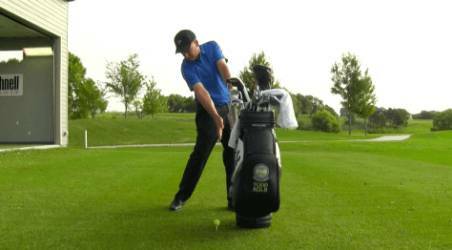 Learn the swing secrets he and his fellow pros all know. The Tour Distance Plan is available through this site for just $67 and comes with a 60-day, full refund guarantee. Order today and receive a series of nine videos and an e-book to help you fix your slice for good, all at no additional cost. Stop talking and start taking long walks past your playing partner’s ball. Learn more about the Tour Distance Program here! I am canadian. Do you have store in my country. Do you accept Paypal for payment. Is possible to return if not satisfied. Thank you in advance for prompt reply. Guy, our team will be in contact with you as soon as possible! Thank you for the comment.